The ridge of high pressure bringing blue skies to the South Coast is also bringing air from the east, where many wildfires continue to burn, says CBC's meteorologist. The smell of smoke is once again noticeable in the Lower Mainland, serving as a reminder of the more than 400 wildfires that continue to burn in the province. CBC meteorologist Johanna Wagstaffe says the ridge of high pressure bringing blue skies to the South Coast is also bringing air from the east, where many wildfires continue to burn. A special air quality statement was issued Tuesday afternoon for large swaths of the province, including Prince George, the Kootenays, the Cariboo, Kamloops and Kelowna. The smoky skies bulletin, issued by Environment Canada and the B.C. Ministry of Environment, does not include Metro Vancouver or the coast. 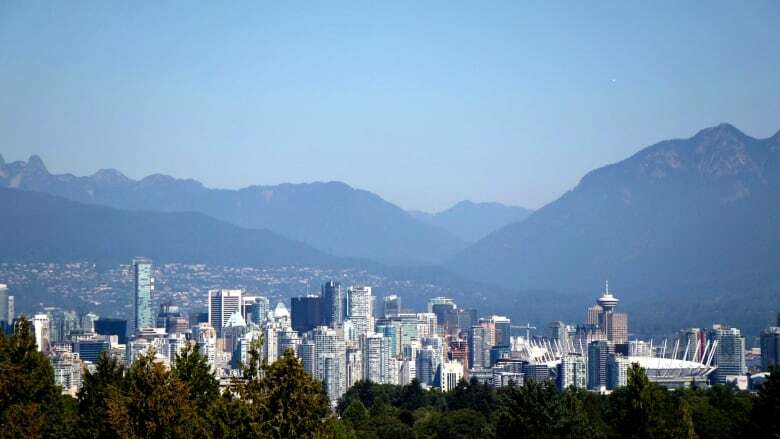 However, as of Tuesday at 3 p.m. PT, the Air Quality Health Index rating for the southwest area of Metro Vancouver was a four — the same as the rating in Prince George where Environment Canada did issue a special air quality statement.